For many years, Arturia was known as a boutique software company that specialized in creating quality software emulations of both classic and modern synthesizers. This was the company’s bread and butter for a long time, and in many ways, it still is. However, with the launch of the MiniBrute in 2012, Arturia took its first triumphant steps out into the wide world of hardware synthesis. Now, with the arrival of the MicroBrute, we have more options than ever before from Arturia with respect to hardware synthesizers. The question, of course, is simple: can the MicroBrute live up to the legacy of it’s older brother? Let’s find out. Upon first glance, those familiar with the MiniBrute will immediately recognize several design similarities within the MicroBrute. The main difference, of course, is that the MicroBrute is roughly half the footprint of the MiniBrute, and features two octaves worth of mini keys to accommodate the size reduction. The hardware synth uses a single oscillator design, with a multi-waveform setup that allows for the pairing of multiple similarly pitched sawtooth, square and triangle waveforms together. The ever-popular Roland SH-101 used this setup as well, and to great success. What does this mean for the MicroBrute, though? Obviously, only having a single oscillator in theory limits how “massive” you can make the sound, since you aren’t combining multiple different detuned oscillators to create one fat, large sound. None of this is to say that the MicroBrute doesn’t pack a punch; to the contrary, actually. The MicroBrute features some very impressive tech under the hood, such as a robust ability to edit the nature of the sounds coming from the oscillator itself. The overall layout of the MicroBrute is extremely functional, and puts all of the essential functions at your disposal. There’s no menu diving here, and most of the best sounds you’re able to come up with while using this thing will come from being open to experimentation at every step of the way (like with many hardware synthesizers). In the top left section of the synth control surface, you’ll find the oscillator controls. From here, you can adjust the properties of the sounds being played, as well as how much of reach waveforms blended into each individual sound. To the right, you have the filter module, which allows you to adjust and experiment with various filtration settings in order to achieve a more complex and textural sound. Past this on the far-right hand side of the synth is the mod matrix section. Here, you can use the patch cables to control various parameters and effects on the sounds. This isn’t quite as deep as other, more complex synthesizers and modules, but it is still certainly a welcome addition to the party. The bottom section of the control surface is home to the other functions of the synth, such as the LFO settings, the envelope, and the sequencer. Each of these different functions is crucial to achieving a quality sound with the synthesizer keyboard, and if you hope to truly master this thing, you’ll need to spend time messing around with all of them. Of course, none of this truly matters if the mini keys are too small to have any fun playing on. We know this is always a hotly debated subject, so for this next section, let’s take a look at how it feels to actually play the Arturia MicroBrute. 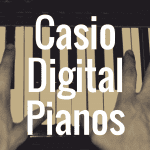 Sitting down for the first time with a mini keyboard can be daunting, especially for established keyboardists (don’t even get me started on doing so as a pianist). For many, though, these keyboards are standard fare nowadays, as synthesizers and MIDI controllers have been making use of mini keys for quite a while at this point. The two octave keybed here feels surprisingly playable, but there’s quite a bit of movement to the plastic molded keys, both vertically and horizontally. This isn’t necessarily a deal breaker, at least not for most, but it’s an annoyance and many will find it distracting at best, performance hindering at worst. It is very common for these types of keys to suffer from stability issues, so it isn’t exactly fair to single the MicroBrute out in this regard, but all the same, we definitely wish the keybed was a bit more substantial. The keys themselves appear to be neither velocity sensitive nor aftertouch-sensing. 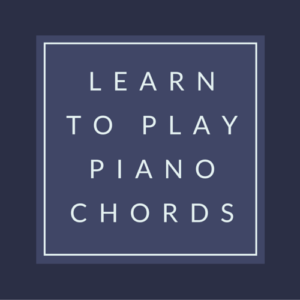 For many, that means playing this thing is a non-starter, and for those players, a separate MIDI keyboard controller is recommended. As far as connections go, the MircroBrute has just about everything you’d ever need in a hardware synth. There’s a pitch and gate out, a gate in, a line out for audio, a stereo headphone jack, a single input jack, and a MIDI in. Finally, there’s a USB B MIDI connection for interfacing with a computer or mobile device. 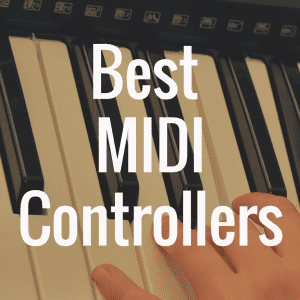 One standout feature relating to the MIDI connections is that, uniquely, the MIDI connection is able to send pitch bend, modulation, and sensitivity/velocity data, all polyphonically (the synth itself is monophonic, of course). This is something that we wish more synthesizers would include, regardless of how “niche” of a feature it might be. It’s important to note that there is in fact a CV connection for interfacing with other synthesizers and sequencers, and that it is located on the front panel with the patches on the far right. One thing should be made clear immediately before we dive into the sounds this thing is capable of creating; the “Brute” in the title is not just marketing hype. This isn’t the synth for your beautiful, ambient keys and crystalline leads; this thing is down and dirty, and the sounds that it produces reflects that in full confidence. One side effect of this identity that we didn’t love was the fact that creating what should be simple sounds, like a PWM sound or an old analog ARP, is surprisingly difficult. The MircroBrute (in many ways, like the MiniBrute) is at its absolute best whenever you don’t fight against its current, instead letting it go where it wants to during the design phase. Even after playing around for only a few minutes, we were able to create a truly unique, guttural bass sound that was unlike just about anything I’ve ever heard before, especially for a product in this price range. This just goes to show how incredibly deep you can go with the seemingly simplistic controls and synthesis engine inside the MicroBrute, and at the end of our session, we were left wanting more. One thing that we didn’t personally experience, but that many reviewers have noted, is that the MicroBrute takes about 15 minutes to warm up after being exposed to colder temperatures. Users have noted that it takes at least this long for the instrument to lock into key, and that there are several different tracking errors that are prevalent right on startup. So, now that we’ve taken a look at the capabilities of the MicroBrute, let’s take a look at some similar products out there on the market currently. Arturia is still relatively new to the hardware synthesizer market, and as such, they face stiff competition from several well-established brands who have been making keyboard synthesizers far longer than the French software company has. In this section, we’re going to take a look at a few similar models to the MicroBrute, starting with the big brother himself, the MiniBrute. We simply can’t review the MicroBrute without talking a bit about the beast that started it all. The MiniBrute was Arturia’s first foray into hard synthesis, and though it wasn’t without its limitations, the synth was largely considered one of the best to be released in the 2010’s. The obvious difference here is that the MicroBrute features larger (but still slim) keys that feel much sturdier and more playable than the MicroBrute’s flimsy plastic keys. There’s also the matter of the additional knobs and control parameters, allowing you to exert further control over the sounds you can create. All of this comes with a heftier price tag, of course, so you’ll need to factor that into your decision if you’re considering both of these synths. The MicroKorg is one of the most popular modern hard synths ever, and for good reason. 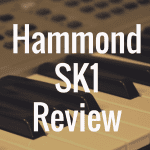 The device is commonly listed as being one of the easiest synthesizers to learn the basics of the craft on, and many novices start out here for that very reason. That being said, it’s important to note that these are two very different beasts, and they really shouldn’t be compared directly. The MicroBrute is monophonic, and serves a very specific role, whereas the MicroKorg has 4-voice polyphony. Ultimately, it’ll depend on what you’re looking to do with the synth you purchase. If you’re looking for a synth to do it all, the Korg offering is more up your alley. If you’re looking for a unique, specialty synth, the MicroBrute will fit the bill. You can read our full review of the Korg MicroKorg here. Again, it’ll depend heavily on exactly what you’re looking to use the synthesizer for. The Minilogue is one of the closest competitors to the MicroBrute in terms of price, but the two products have a few big differences. For one, the Minilogue is polyphonic, so again, if you’re looking for something to start out on, this might be the way to go. 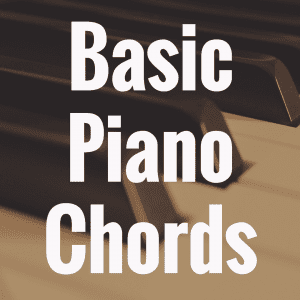 Being able to play chords and learn the synthesis engine inside and out will likely appeal to beginners much more than the relatively unforgiving interface on the MicroBrute, which truthfully only opens up once you understand the basics of synthesis. You can read our full review of the Korg Miniloogue here. All in all, the Arturia MicroBrute, like it’s older brother, is a force to be reckoned with in the world of hardware synthesizers. Arturia has truly put a lot into their hardware efforts ever since 2012, and it shows through in their entire design philosophy. The combination of fantastic editing features, a deep yet simplistic synthesis engine, and an intuitive and fun sequencer makes for a killer package that is sure to surprise and delight keyboard players of all levels and backgrounds. That being said, we certainly think that this is a bit of kit best enjoyed by someone who already knows a bit about what they’re doing. The lack of a menu system, coupled with some pretty in-depth editing parameters, means that there’s a bit of a steep learning curve here, as there is with many hardware synthesizers. The Arturia MicroBrute is a fantastic and unique hardware synthesizer that hits all the right notes. 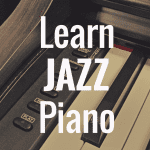 It’s affordable, versatile, and above all else, a blast to play. If you enjoyed this article, please “like” our Facebook page, as well. 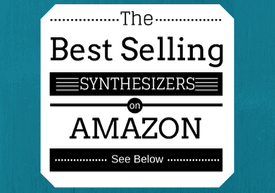 Beginners Guide to Synthesizers: What’s the Best?